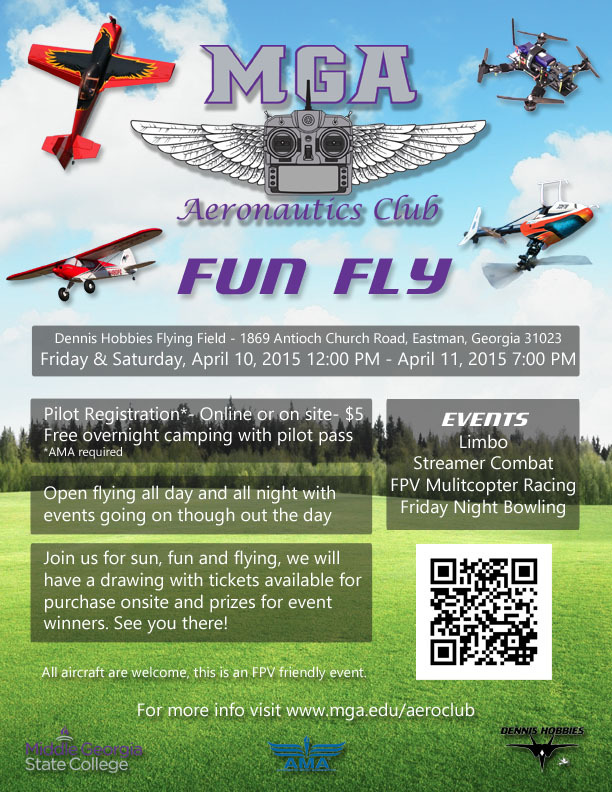 Middle Georgia State College's Aeronautics Club will have there 2nd Annual Fun Fly April 10th and 11th. Think of this as a pre-SEFF warm up, we will have FPV racing, limbo, streamer combat and Night bowling going on though out the day and night. To fly cost 5 dollars, which goes toward our community out reach for the heart of Georgia area. The event went well and turn out was good for it being forecast to rain... a lot.